If you’re going to build a house, you need the right tools. 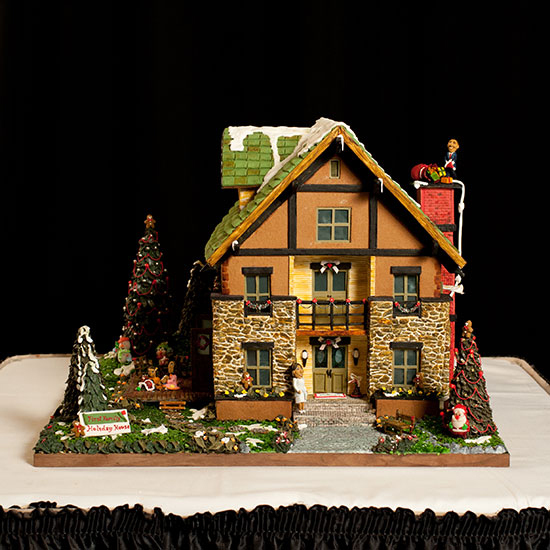 A gingerbread house is no different. You can’t just go in headstrong with a box of Honey Maid and some icing and then ask for a Christmas miracle to make sure everything turns out all right. If you want to prove yourself to be a true gingerbread craftsman, you have to know some secrets. Luckily, those geniuses over at Instructables have done it again, this time offering up a way to turn an ordinary glue gun into a sugar-based adhesive machine. As Boing Boing reminds us, you want to be careful anytime you mix glue and food: Be sure to start with a fresh glue gun to avoid any contamination. But from there, all you need is some aluminum foil to make a mold you can fill with molten sugar to let set and stiffen into a glue gun-ready sugar stick. Load up your gun with its sweet new treat and then apply as needed while building the gingerbread house of your dreams. Sound crazy? Well, is it any less crazy than building a house out of cookies to begin with? Probably not.